More than 80% of the essential oil packaging is in the form of paper tube packaging, and only a small number of rectangular packaging. Paper tube packaging can be perfected both in terms of styling and packaging technology. The creative paper tube oil packaging can even make the brand known to the public in an instant, gaining high visibility and maximizing the brand effect in a short time. Therefore, we receive 90% of the essential oil brands, we will choose custom cylinder packaging, and do more perfect in packaging design. The purpose of paper round tube boxes packaging is to promote products and brands, and to protect products during sales and transportation. Packaging is generally regarded by customers as the label and endorsement of products and brands. It is determined by the outer packaging which product belongs to which brand. Consumers often choose to trust brands to buy products, and even willing to pay more to buy trustworthy brands. It can be seen that the brand is reflected in the essential oil packaging, it will be very necessary to make the product a premium. When packaging design patterns, not only need to print the brand and logo on the packaging, but also need to embody the characteristics, to convince consumers to buy their own brand of products rather than other brands of essential oils. Custom paper tube packaging instead of rectangular packaging, the most important thing is to play a very good role in protection. Since the paper tube packaging is to roll the material into several layers, the hardness of the package is harder than that of the rectangular rectangular paper package, which can better protect the glass essential oil bottle. The four corners of the rectangular package are easy to receive impact and crush deformation, increasing the possibility of broken glass bottles. 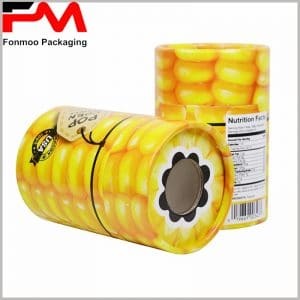 Because the paper tube packaging is curved and has no sharp edges and corners, the packaging is less likely to be extruded and deformed, which plays a better protective role for the product. From a mechanical point of view, the round boxes are also more conducive to grip. The application of different printing processes to custom packaging will affect the positioning of this corporate brand, as well as essential oil packaging. The use of bronzing technology and hot silvering process has increased the luxury of the essential oil box, reflecting the high-end positioning of the products and brands, and the target group is also based on medium and high income consumer. The use of the bronzing process increases the packaging cost by less than 10%. The embossing process is more about the artistic sense. The increase is the fashion of the package and the essential oil products, mainly based on the young consumer groups. When choosing a packaging process, not only can a single printing process be used, but also multiple printing processes can be used simultaneously to increase the appeal of the product packaging. 3、 The packaging design uses natural essential oils as the main design element and has a slight sense of medicine. The main types of essential oils include spa health essential oils, cosmetic essential oils, medicinal essential oils, and electronic cigarette oils ect. Most of the medicinal essential oils, health essential oils or cosmetic essential oils will be promoted with natural essential oils, so that consumers can buy and use them with confidence. Therefore, when designing essential oil packaging, the main concept is the concept of natural essential oil, and the production environment of raw materials of essential oils is the main design element. When designing a medicinal essential oil package, it will consider the package with a drug sense, or the use of essential oils, highlighting the natural use value. You can usually use specialty paper as a raw material or apply 3D printing technology to your packaging design. The final measurement of any packaging design is: whether the consumer or the crowd is willing to share it actively; whether it is the recognition of the customer and the potential customer; whether the brand has a positive promotion effect; whether the packaging display promotes the sales of the product. The design of the essential oil paper tube packaging is no exception. Well-designed essential oil packaging enables consumers to browse products and focus on their own branded products to promote purchases. The creative essential oil packaging enables more consumers to share and is automatically spread to more people in a short period of time, helping brands to stand out in a highly competitive market.